Keeping Alicante's miles of shoreline pristine for the multitudes of beachgoers that congregate to the Mediterranean city every year is no small feat—what with all the seaweed that washes up there. Problem is, the city's existing seaweed mitigation techniques end up eroding the beaches they're meant to clean. This automated seaweed collector, however, removes all of the plant matter and none of the sand. See, the conventional method of removing seaweed involves scooping up the plants, along with a sizeable amount of sand and seawater (up to 80 percent of the total weight and volume), and dumping the mess into the back of a truck to be hauled away. Seaweed covered in salt and sand makes for a terrible biofuel and can only be used for low-grade use as an agricultural ground aerator so a majority of the plant matter ends up in local landfills. This new mobile treatment system developed at the University of Alicante, on the other hand, thoroughly cleans and compacts the plant matter without leaving the beach. The system uses a trio of hoppers (tapered bins) mounted onto the rear of a semi trailer. Sandy seaweed is scooped up by front loaders and deposited into the first hopper where seawater is pumped over it to wash off the excess sand (which is then deposited back on the beach). The de-sanded plant matter would then be transferred to the second hopper where fresh water (actually just more seawater that's been purified in an attached solar distillery) washes away the residual sea salt. After it's transferred to the third hopper, the seaweed would then be dried under solar-powered hot air fans. Finally, after being washed, de-salted, and dried, the seaweed is compacted into pellets or pallets, depending on the application, for use as a building material, an ingredient in toothpaste, cosmetics, and paints—even as a potential base of bioethanol. 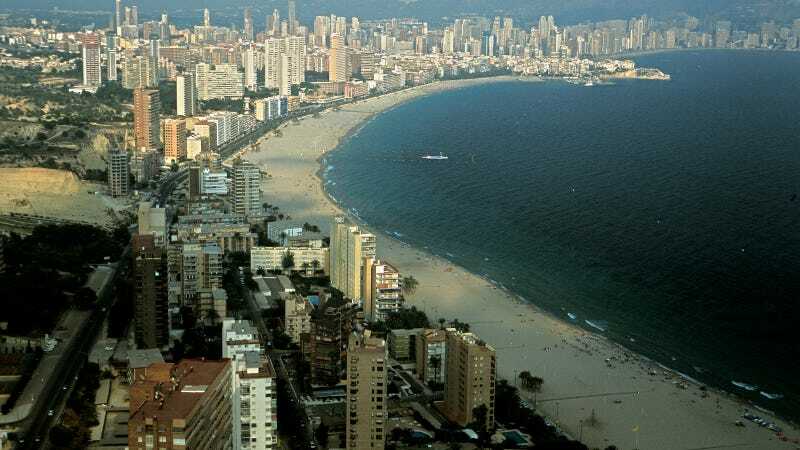 The system is still in its early design stages so there's no word yet on when an actual roving seaweed vacuum will begin patrolling Alicante's shoreline.